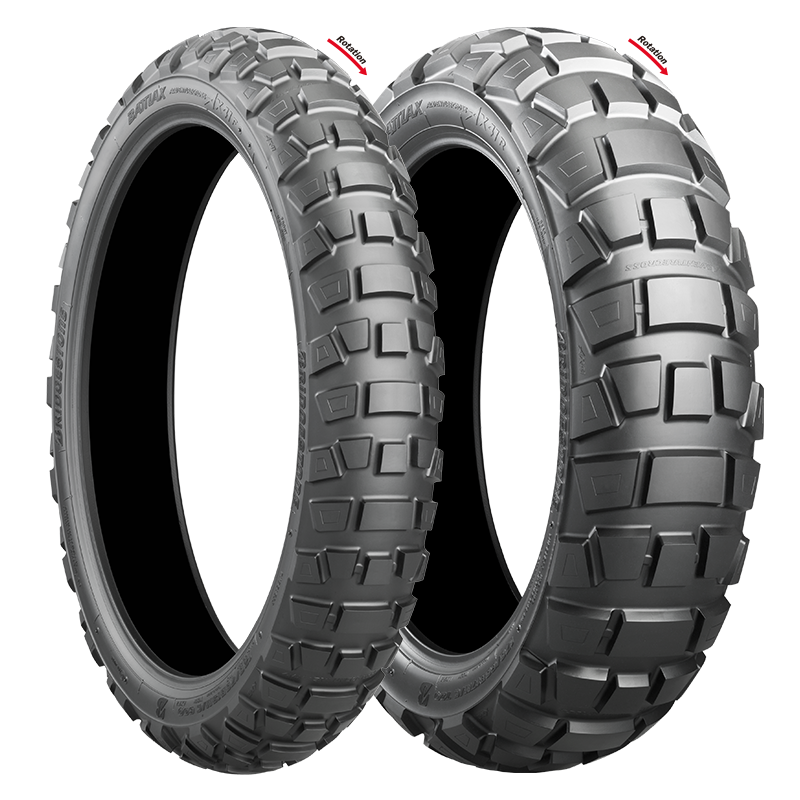 So I just ordered a set of Bridgestone AX41s for the Old Grey Mare. They look to be a 60/40 or 50/50 tire leaning toward offroad. I don't need them yet but couldn't pass up the deal. $210 for the pair - $60 rebate = $150 for a set of B-stones! Will update this when they arrive and when I have some experience with them on the bike. notacop and Bugzy like this. I just paid over $300 for a set as a Christmas present for my Sons Super Tenere. American Moto Tire seems to have gotten back to selling Bridgestones cheaper than anyone like they used to do. That is a 90/10 tire. Not even close to a 70/30 or 50/50. They should be great pavement tires, their predecessors were. These do have the thicker tread carcass area, which I like for riding gravel roads. Last edited by realshelby; 03-07-2019 at 12:34 PM. They have pretty big gaps between the lugs for a 90/10. What makes them such a street tire? Big B, D.T. and om28 like this. You're thinking of the A41, these are the AX41. I am REALLY wanting to give these a try next, please keep us updated. It seems very strange that the tread pattern is the same front/rear AND the rotation is the same. I'd say they are a 60/40 tire. I like the S scrambler version too. Where'dya find the info regarding the rebate. Yes! I just received the DumbAss reward. Mom always told me I was a winner! What is worse is that I done this once before....but caught myself! I'll blame it on Bridgestone for a confusing name for two tires that are completely different. No experience with the AX40 Battlax, the A40 Battlax were good all around street/gravel/packed dirt tires. Wear wasn't as good as the OEM tires, but the A41 Battlax is supposed to wear better. Very good street manners.